The direct route from Nubra Valley to Pangong Tso is getting popular among domestic tourists year after year. As of 2018, this route is the hot favorite among tourists, especially those who are short on days for an ideal Ladakh trip. Today in this article, I will talk about some important tips and things you should consider when traveling from Nubra Valley to Pangong Tso. Can I travel from Nubra Valley to Pangong Tso directly? I get a lot of questions about how I can save a day in my plan of Ladakh trip, where people look to travel directly from Nubra Valley to Pangong Tso instead of coming back to Leh. If you need to understand more about the routes in Ladakh along with distances, you can also refer our DoW – Maps of Ladakh | Nubra Valley & Changthang. As you can see in the DoW maps of Ladakh that there are two routes to travel to Pangong Tso from Nubra Valley directly. I will talk about both of them in detail one by one. This route has become very popular among the tourists starting 2018. The road conditions have been stabilized a lot on this route and lots of people now travel on this route, especially when it is shorter than Wari La route and saves you a day in overall Ladakh plan. Some of the road sections between Agham & Shyok villages are kind of tricky and landslide prone. Even though a lot has been improved on this route starting 2016, still, it is not an easy piece of cake especially in July – August time period. Sometimes the water in Shyok river swells and closes the road. Hence, it is important to ask at Agham village before you travel on this route. 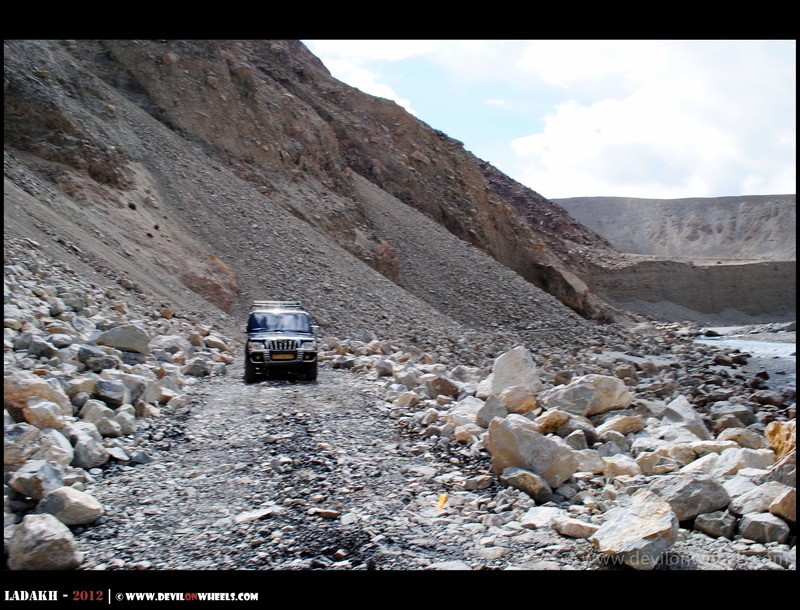 There are some sections especially before Shyok Village (towards Nubra side), which might be tough to climb without a high Ground clearance vehicle. YOU MUST keep in mind that as this route is getting popular year by year but still not majorly used. It is better to wait at Agham village for some company when you are alone and tag along to have some company for peace of mind of being not along. This helps in case of any breakdown as others can help the person in need. In case, you venture out on this route alone, you might get stranded for a longer period of time. If you are self-driving to Ladakh, it is better to carry the essential things for a self drive trip to Ladakh. Please take a sensible call for yourself as well as your loved ones waiting for your safe return :)… Cars with high ground clearance are preferable on this route. Always inquire about the road conditions either at Agham Village or Khalsar Village before taking the route from Shyok village to Pangong Tso. If you are traveling from Pangong Tso, then there is a GREF hut that comes after Shyok village from Durbuk side. You can inquire about the route status from them as well. Sedans/Hatchbacks = Best avoid them!! High Ground Clearance SUVs (4×4) = Will help a lot with peace of mind. The direct route from Nubra Valley to Pangong Tso from Wari La pass is much longer as compared to Shyok Village route. It gets connected on conventional route from Leh to Pangong Tso at Shakit/Serthi village. So, that means you travel Nubra Valley to Sakti over Wari La and then traverse major part of Leh to Pangong Tso route as well, including climbing the Chang La pass. It easily takes about 10+ hrs to reach Pangong Tso from Wari La route. This route will be closed in the month of June due to snowfall at Wari La pass and is not kept actively open by BRO as there is no urgency to do so. It is just an alternate route present. Hence, in the winter months and early season time, you should not travel on this route at all because it will be most likely be closed. As Shyok village route, which is much shorter is not traveled by many tourists, it is better to only take Wari La route in case that route is closed. Otherwise, you will not find many people on this desolate route and no help will be available in miles in case of any breakdown. So, even if for some reason you take this direct route to Pangong Tso from Nubra Valley, it is better to do it in a group of 2-3 vehicles at least. The road conditions are mostly average with dirt track in majority of the route. 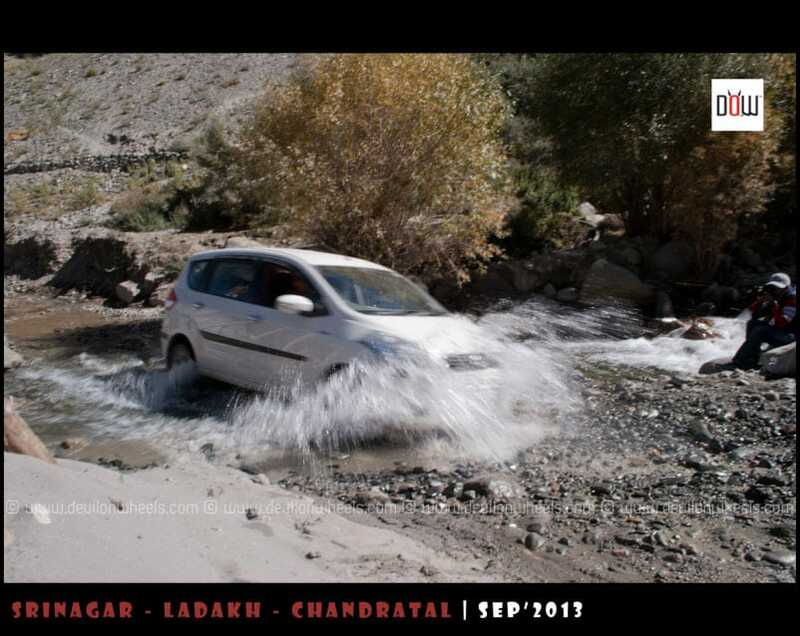 There are couple of water crossings and at the to of Wari La, the vehicle with small GC may struggle a bit. Sedans/Hatchbacks = Tough but doable, at least the climb up/down for Wari La and then again to Chang La. Very tough in early summers. Given below is a three day itinerary for planning a trip to Pangong Tso directly from Nubra Valley without coming back to Leh. I am assuming that you have already stayed a couple of nights in Leh for acclimatization and then only you are traveling to Nubra Valley and Pangong Tso. If you have more days at hand, then you can add the Turtuk village stay in the below plan where you can travel to Turtuk on first night. Then, next day come to Hunder and go over to Pangong Tso. No extra permits are required to travel from Shyok village route or Wari La route between Nubra Valley and Pangong Tso. The permits that you got from DC office in Leh for Nubra Valley and Pangong Tso will be sufficient. You can apply the permits for Nubra Valley and Pangong Tso online now. In the end, make a calculated risk when traveling on direct routes from Nubra Valley to Pangong Tso either from Shyok village or Wari La pass. Remember that it is always good to travel in a group on such unconventional routes in Ladakh, so even if you are alone vehicle wait at Agham village to travel in a group. Otherwise, you will be best suited to avoid them. I am sure with the details described in this article, you will be able to make a judgment call which is best the best route for you and your family. If you still have any doubt or questions on planning your trip from Nubra Valley to Pangong Tso, feel free to post them in the comments section below. I will be happy to hear from you on other suggestions about this wonderful route in Ladakh. Have you done this route?? 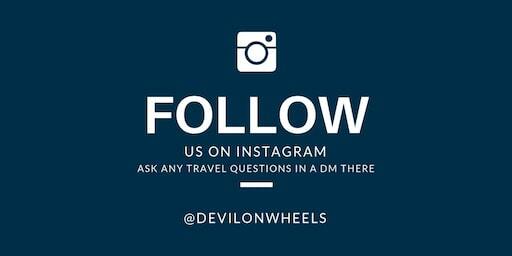 Tell me what was your experience and help others travel better in Ladakh. Do not forget to share this article with your friends and family who are planning the trip to Ladakh. I already travel to ladakh from Pune by my car 10 grand in first week of july in list year with my friends. I have compleated the circle pune -amritsar- Jammu – shrinagar – Kargil – leh – Khardungla- leh- kharu – Pangong -kharu-sarchu- manali- pune without any failure. I am planning again in next year i.e 2019 with my family. but i want to ask you can i use “Nubra Valley – Agham – Shyok Village – Durbuk – Tangste – Pangong Tso ” rout by same car? Just one correction, We have completed our last leh tour in last yest first week of Jun. please suggest if this rout can i use for next year? Shirish, it will be much difficult to travel by a hatchback from Pangong Tso to Tso Moriri. I will recommend planning the trip carefully and carry the essentials. This will be desolate route a bit now. Confirm at Agham village about the road conditions or stay tuned to DoW Community for road updates. Actully i am asking for Nubra Valley to Pangong not Pangong to TSO Moriri. Can you tell me what is the distance between Diskit (Petrol filled) to Pangong Tso via Shyok Village? Also, we are on planning to go ahead from Pangong Tso to Hanle and Tso Moriri and return via Manali route (Jispa last petrol filling station) so how much petrol we need to carry with us to avoid shortage. We have classic 350. We have hired Inova, Is it OK, Do we need some extra precautions as we both are senior citizens. I s this a proper plan? Vinod sir, your plan is good and easy. You will enjoy the trip a lot. You are traveling slow, drink plenty of fluids and keep yourself hydrated. It shall be a good trip. You will find veg food all of the Ladakh, no problems with it. I have been following ur blog for months now reading everything about Ladhak. Finally I booked flight (up & down) to Leh (13-19Sep). I’m going with a very close friend & both of us will be renting Bullet at Leh. Will there be direct & safe route from Nubra Valley to Pangong Lake ? (I’m a fair rider with long highway rides but no experience on hilly areas). Well, you can see from the article that there does exist a route that takes you Pangong Tso from Nubra Valley. I have updated the conditions as well for this year and in fact, in September it will be in the best conditions of the season. So, just wait for few vehicles to come at Agham village and then tag along to have some company. You can travel from Nubra to Pangong Tso directly and it can be done but do wait for a few vehicles at Agham villageto tag along so that you have company to travel on that route. There will not be much water in water crossings and road will be much stable. We are starting our trip from Srinagar to Leh by car with the local driver. We have 13 days in hand. We want to do Srinagar to Leh then Leh to Nubra to Pangong to Spiti to Manali To Chandigarh fly back to Mumbai . We are renting bikes in Leh. What is the best would you recommend to cover the stretch. We start our trip tomorrow night from Mumbai. Land in Srinagar then by car to Leh. Also how feasible is it to get a bike from Leh & drop in Manali ? You can get the bike from Leh to drop I believe up to Keylong but the pickup charges will be around 10K per bike. I have gone through the blog written by you very carefully. very nice description. Is it possible to travel directly from Nubra to Pangong tso via Agam-Shyak road on 27th July this year by two 14 seater Tempo travellers ? How much is the risk ? May we be able to overcome it ? Please reply. Thanks for sharing your experiences with all of us here. Here is what I’ve planned based on all the reading / research i have done so far. Please have a look and comment, if this all is feasible, sensible to do during beginning of July ’18. Looking forward to your comments, suggestions. Navneet, the plan looks fine to me except one thing of night stay at Sarchu. I will recommend that you do Jispa to Leh directly and don’t do a night halt at Sarchu because your body will not be acclimatized to sleep at that high altitude. Use that day to break the long journey of Pangong Tso to Tso Moriri at Hanle. Noted, for Jispa to Leh directly, we shall cover it within the same day. On the other hand, wouldn’t Hanle be out of the way (from Pangong to Tso Moriri)? We plan to take the route of (Pangong Tso) tangste – durbuk – sakti – hemis – upshi – kiari – chumathang – karzok (Tso Moriri). Lastly, for Nubra valley to Pangong Lake, we plan to take the route of Hunder – Khalsar – Shyok – Durbuk – Tangste. Would you suggest for this route or instead suggest to take Nubra – Leh – Pangong? You can take the Shyok route as many people have started taking this route in recent years. Just check the status at Agham village and take the final call. Hi Dheeraj, We have been trying to plan a trip to Leh since ages and finally got some time and immediately booked the flights to Delhi and back from Delhi. We are sure we cannot do it anytime again. After reading so many articles now we are worried about the trip. Please suggest us an itinerary. So effectively we have 11th to 19th 2pm available with us. We are planning for a biking trip. Please help. We wouldn’t mind considering Spiti valley as well if that fits in well. I will suggest you skip Ladakh unless you are ready to fly into Leh directly. Go for Spiti valley trip and the 9 days you have I will advice going from Manali side and only go from Kinnaur side if heavy rains are not predicted. Is it likely that the road between Khalsar & Durbuk along the Shyok river will be over in the 1st week of July 2018? If that road is closed, are we likely to be able to go via Agham & Wari La at that time of the year, or will the only option be to go via Khardung La? We will be riding hired motorcycles from Leh. is there any petrol pump between Nubra Valley and Pangong Tso direct road via Shyok? Please suggest any changes if required. 3.I am mostly concerned about, will it be a good idea to travel from Nubra Valley to Pangong directly from Shyok Road in mid June, through bikes as we are a group of 3 couples. 4. As per the new rules do we need any permits for our route. Good to see you planning the trip again. 2. I will recommend that you rest for two days in Leh before going to Nubra Valley. Rest plan looks OK.
3. Many people take this route now and have become more and more dominant every year. So, once you reach Nubra, inquire about the road conditions at Agham village or taxi folks or this forum where we post the status updates and then take a call. Day 1 – Arrive in Leh & acclimatize. Day 2 – Drive to Alchi. Enroute visit Magnetic Hill, Gurudwara Patthar Sahib, Confluence of Zanskar and Indus river. Visit Alchi Monastery and drive back to Leh. Just before reaching Leh, visit Ladakh Hall of fame. Travel will be on either Scorpio, Xylo or Qualis. My biggest concern is the route to take on Day 4. Bopanna, Day 4 does not seem realistic to me. Also, it is highly recommended to not travel on the direct route alone and have some company of vehicles as the route is quite desolated. Drop Pangong Tso or add a day to cover it. We are reaching Leh around 20th Sep. We have both Nubra and Pangong in itinerary. Travel agent has recommended to reach Pangong via Shyok from Nubra. Is the road good and safe now? Two ladies will be travelling. Sri, Nubra to Pangong Tso is open now, so taxi driver will be able to take you on that route even though road conditions are not that good. It is always recommended to wait for few more vehicles at Agham village and travel in a group on the desolate route. I will strongly suggest to follow the plan mentioned in How to make trip to Ladakh in 5 Days? I have a bike trip to Leh this August. After having acclimatisation there, while return I have a plan to take a rout via Nubra Valley, Pangong Tso, Tsomoriri, Tso Kar and then to Manali. I also intend to visit Khardungla but that’s not possible through this rout I guess..
How should I make an itinerary for this return trip.? Please advise. 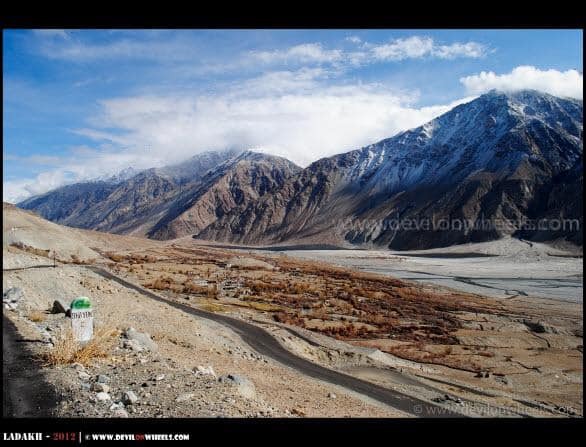 Khardung La connects Leh to Nubra Valley, so when you travel to Nubra Valley you will pass Khardung La first. How many days do you have in hand? I think you got little confused with my travel. I am traveling by bike ride and for my whole trip I have around 15 days from the day I leave from Manali on the bike. And while return I want to cover Tsomoriri, Tsokar and then to Manali. I wanna know the 12 days schedule that you’ve made for me (below) looks perfect but can I consider that same schedule for my bike trip as well, because I believe you thought i was gonna hire a cab.? Once, you reach Leh and acclimatize then you can very much follow the plan I suggested previously by going to Nubra and rest followed. Thank you so much Dheeraj for the very quick response.. Your tips and the schedule made are highly helpful. Thank you so much. I would like to understand the best possible route to reach tsomoriri and tsokqr from leh. And also please advise me whether can I head back to manali from tsokar? Your assistance herein is grwtly appreciated. No Faisal, you must plan for two days if rest and acclimatize in Leh after landing in Leh. Then you have 4 days at hand, make two day trip to Nubra Valley first and then a two day trip to Panogng Tso. Pangong Tso – Nubra via Deskit takes about 6-6.5 hrs depending upon breaks taken in between. thanks Dheeraj fr providing continuously support. Yes Failsal, Inner Line Permits are again required from this year for Indians and they can be applied online. Use the link: Ladakh Inner Line Permits Available Online. Once applied, take the print out and pay the fee at Tourist Info Center in Leh or DC Office in Leh. I planned to book a private Innova/Xylo for the entire trip and we are 6 adults. Couple of tour operators said that I cannot plan for Nubra to Pangong directly. They just said a blank “NO”because roads will be in bad shape in August. Few others are fine. Whats your suggestions? Personally I don’t mind taking that bit of stretch! Bhavik, best will be to tell once you reach the Agham village and then take a call if the route is too dangerous or even open. Shyok river swells during monsoon and some section becomes closed or too difficult to cross. I will recommend that you drop Gulmarg trip and do two day trip to Nubra and two day trip to Pangong tso. we are going to leh second time. this time our progrmme is via manali its own vehcles, sir it is possible we are going to pang to tso moriri lake, tso moriri to pangong and pangong to nubra valley. please tell me how many days to be spent on this route. We have very limited number of leaves but we figured its now or never. Would really appreciate your expert feedback on the below . Marzu, the above plan will most likely land you up in hospital or will put you or your friends very close to near death experience. When we travel from Manali to Leh, we have to take care about acclimatization which is not at all present in above plan. 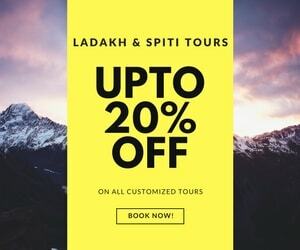 At minimum to make a bit safer trip by road to Ladakh, you will need to have at least 9 days from Delhi for Manali route and 10 days if you choose to do the circuit of Manali – Ladakh – Srinagar. Thank you Dheeraj bhai for the clear advise much appreciated ! I guess since we are flying in from Dubai to Manali we were trying to do as much as we can in the short leave.We are comparatively fit and used to riding but dont have any experience on high altitudes hence the plan 🙂 . Would you please help us to replan the below itinerary for seven days. We are planning only ONE way trip so we can drop of the bikes in Leh or Srinagar. Or would you recommend travelling from Srinager to Manali. Looking forward to your advise . Thanks a lot for your inputs will try to plan our itinerary as advised by you..
Just one clarification how do we do the Pangong Tso – Pang/Sarchu route .Couldn’t find any clarity in any forum about this route. Pangong Tso – Chang La – Karu and then take the left to Manali – Leh Highway instead of going back to Leh. You will have to leave around 6 AM from Pangong Tso to reach Sarchu in time before sunset. Is it possible to go from Pangong Lake to Nubra Valley via Wari La by a High GC vehicle like Quanto on 2nd weak of June this year? Please suggest. Saurav, it is better to take Shyok – Agham route instead of longer Wari La route. Qaunto is capable enough to do both the routes. Just make sure you are joined by some vehicles on these desolated direct routes. It is my honour to here you. I have a little confusion about the route you said. In DoW map you marked this route in red line that means this route is for 4×4 vehicle with high GC. Will my vehicle Quanto will be able to cover this route though it have a high GC? Please suggest. Saurav, the map is a bit outdated, 3 years old, things have settled now and most of the taxis do it which are 4×2 only. Of course, it wont be easy but higher GC will help you pass through tricky sections. 2nd June, Day 1: we will start from our home at 2 AM and expected to reach at Etawah, UP by 8 PM (982 km as per google map). Night stay. Day 2: Etawah to Pathankot (803 km) starting at around 7 AM. Night stay at Pathankot. Day 4: Sonamarg to Kargil. Day 5: Kargil to Leh. Day 6: Leh for procuring the permission. If possible we will go for local sight seen. Day 7: Leh to Pangong Tso. Night Stay. Day 8: Pangong Tso to Diskit / Hunder via Shyok – Agham route (as per your suggestion). Day 9: After visiting the local sight seen and Turtuk we have a plan to go to Sumur. Night stay at Sumur (your Suggestion needed). Day 10: Sumur to Upshi via Khardung La after visiting hot spring at Panamik. Day 11: Upshi -Kiari – Chumathang – Korozk (Tso Moriri). Day 12: Korozk – Sumdo – taking left turn Polokung La – Pang – Sarchu (night Stay). Day 13: Sarchu – Keylong – Rothang – Manali. We want to proceed further and stay at Bhuntar. Is it possible? Day 14: Bhuntar – Pinjore / Ambala (here we need your help, we don’t want to stay at chandigarh). Please suggest. Day 15: Your suggested place to Kanpur. Day 16: Kanpur – Home. Can I travel with 6 adults in my vehicle at those roads? We have a plan to remove both side footrest and back door footrest to get better GC. If you think that we need to change some portion of the tour plan for safety and betterment of us please suggest. — You can do Sonamarg to Lamayuru or Alchi instead of staying at Kargil. — You must do Nubra Valley before sleeping at Pangong Tso. Thank you for your valuable tips. Can we do the day 12 trip through Polokung La? Is there any stay option at Lamayuru or Alchi? Can you provide me the Hotel numbers over there? And the most important thing – is it possible to get your cell no? You can sms me at my no also 09851020200. So that, in case of any problem we can contact with you for your suggestion because you know the enter region like your palm. Yes, you can do that route. Yes, there are stay options at both Lamayuru and Alchi. Just land there and find to your budget and liking. Not many people stopover, so you will find on that spot. Sorry to disturb you again. We have a confusion, We are 6 adults and my vehicle is 1500 cc with a output of 100 bhp. Can we complete the whole trip including Leh to Manali on that vehicle ? Your suggestion is strongly needed. Saurav, I believe you should be able to do it and the only issue I see if fitting so many people with luggage and all for such a long days of road trip journey. It will surely cause discomfort. I will strongly recommend that you skip the part of driving down to Srinagar and do Leh at ease. You should be doing 2 days of rest and acclimatization after flying to Leh. Then you should do two day trips each to Nubra Valley and Pangong Tso else it is going to be hectic but in case you want to go with it at least have one more rest day in Leh because 36 hrs of acclimatization is at least required to travel to high altitude places. Shall we first visit Nubhra valley or Pangong lake taking acclimatization in mind. 10th may = tso kar to tso moriri. stay in tso moriri. — It is a desolated route and one must have company with him/her on these routes. If you have couple of more bikers to tag along that way at Agham village or couple of cars that can come handy in need of the hour, then only go for it. 10th may = Hanle to tso moriri. You will need inner line permits to travel to these places and also make sure that you are carrying enough fuel to cover this circuit. What all Inner line permits are required to visit Leh. (Khardungla, Nubra and Pangong). How to get them and how much it costs us? It is quite hectic and you will need permits for this trip to travel from Pangong Tso to Tso Moriri. Better skip Tso Moriri this time. Is it better to skip pangong or tsomoriri considering the crowd & scenic beauty. And how long would it take tsomoriri from Leh. But do both pangong & tsomoriri are equally beautiful? Which one do you suggest to visit? Yes more or less. I prefer Tso Moriri, it still has charm and not lost in crowd. Looks fine to me. Public transport will be available but frequency to these places is not good. You may check shared taxis though in Leh in case the dates matches for you. You can include Hanle in your plan which can be covered with Tso Moriri trip. Also, there is Dah Hanu Villages which is also couple of days trip from Leh. I’m coming in june month with my group, kindly suggest me where and how i have to take and apply for inner line permisissions. Hitesh, what is the route you are planning? You do not need permits as Indians anymore for conventional routes to Pangong Tso, Tso Moriri, Nubra. We are planning ladakh trip in July 2nd week for 7days which includes nubra and pangong. How much would the taxi cost for the entire 7 days trip. Is it possible to book in advance? Any contacts available,? For the leh – ladakh taxi union rate list 2016 – 17 including the contacts of some reliable taxi drivers within Leh – Ladakh, check the link here. You can get about 12-15% of discount by directly getting in touch with drivers and of course, talking in person rather on phone always help in bargaining more. You can call the local drivers directly to connect with them and check the comprehensive List of Taxi Drivers for Ladakh – Srinagar – Leh – Manali with recommendations/reviews for DoW community members. 1) when Srinagar to Leh road will be opened in 2017? 2) when Manali-rohatang pass to Leh road will be opened in 2017? My question is this route is fine na? And which route will be fine Wari La or Shyok while Traveling from Nubra Valley to Pangong Tso? We don’t have any backupvan. Please guide & Thanks in Advance. Abhijit, the route you are planning to take looks fine to me and your plan too. Go with Shyok route as you will have multiple bikes which can come for rescue in case there is any need of it. Thanks a lot Dhiraj Bhai for ur very much valuable information. Will take Shyok route. Best wishes for your trip to Ladakh, feel free to post any further questions you may have for your trip. Hello dheeraj sir, we r a group of 6 boys wish to leh in October 17. Following is the itinerary I have made . Plz correct me if I m wrong. Day 2 : magnetic hill n pather sahib n acclimatization. We don’t have much experience of riding bikes in mountains . Is this good to go nubra n pangong on bikes for us. Do a day trip on Day 2 on bike ride and then decide. You will surely feel challenges on these roads especially near the passes, so depending upon how comfortable you are with cold conditions and riding bike, please decide. A small injury can lead to fatal results in such remote places, so keep that in mind always. Also, in case you are riding first time, avoid Agham-Shyok route. I have done khardoongla in 2014 n didn’t face any problem what so ever. Yes my friends r visiting leh for the first time. Is my itinerary fine ? Your plan looks OK, make sure you have company in case you are taking Agham – Shyok route. It is a desolated route as mentioned in the article above. 2) Suggestion for visiting Tso Moriri. Since this is our first ime in the Ladakh region, is it worth visiting both the lakes or any one of them? and if there is a way to do so without back and forth from Leh. 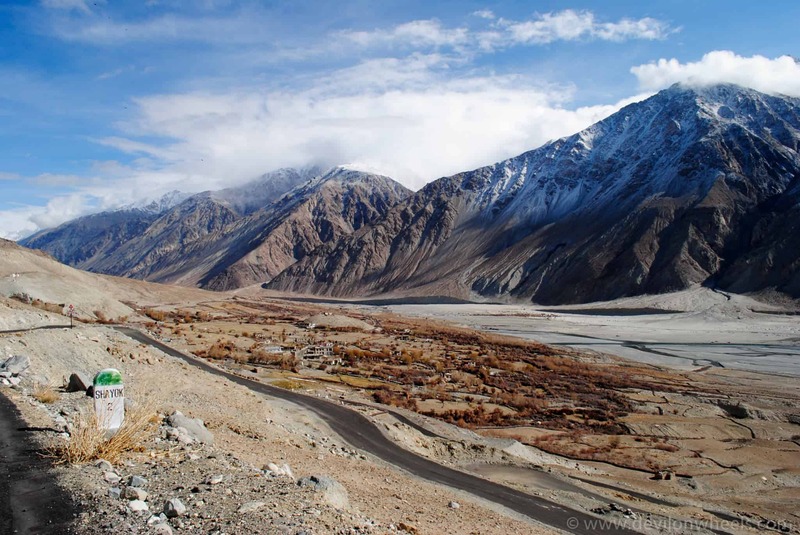 Would like your advise on Nubra Valley – Pangong Tso route options. Is it advisable to do it without getting back to Leh. Sharad, as suggested int he article, the routes are desolated. Please confirm from locals before going into these routes about the present conditions and also, make sure you have company along the route just in case something goes wrong, there is some help. Your plan looks fine except Pahalgam which might be too much. So, please drop it. Rest you will be having taxi so fuel he will be managing and then for direct route to Hanle from Pangong tso, you will need inner line permits from DC office in Leh. Also, we have planned to not pre book hotel or cab. So I just want to know will those be available at that time? What can be the expected expenditure? Dipmala, you plan looks good and balanced to me. It would be much better if you come back to Leh from Nubra Valley or spend that local sightseeing day in Turtuk in Nubra Valley. Yeah, if you are OK to search few hotels here and there, it should be fine to get the hotel on the spot. Thank You Dheeraj for such a quick response. Let me check how I can reshuffle those days to manage the sightseeing at Turtuk. Going for a 12 days trip without a pre-booked cab is a wise decision? Or I need to rethink on it? I think if you have a pre-booked cab and do not have too much preferences to stay at specific places and aren’t tooo choosy on places to stay, it should be perfectly fine and cabbie will help you always in finding a decent, clean place to stay. i’m susy from indonesia with a group of 5person, planning to visit leh direct from kathmandu. i need your suggestion from our itinerary as we only have limited time. Thank you very much for your reply…. 1. Is it worthy to skip nubra n adding moriri as new destination ? 2. Is it possible to do? Which one that you think it’s better to skip? I saw all the pictures and all beautifull, then i started confused to decided which one i should choose in my first trip to leh. already decided some place to visit as your suggestion, but also combine with the driver(guide) advice. i will write again after got the perfect plan with the guide. Need you advise for below Itinerary. Day2. -Srinagar – Sonmarg – Kargil. 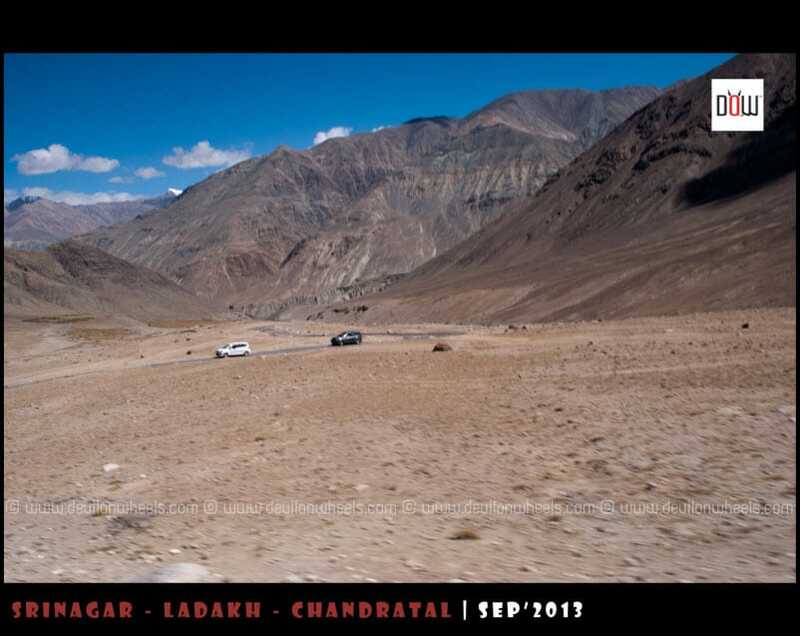 Day4.Leh – Nubra Via Khardungla Pass.stay overnight at the camp at Nubra. Day6.Pangong – Tsomoriri,Chumathang hot springs, Mahe and Puga Sumdo. Please suggest if i need to shorten the trip which i need to drop, Pangong/Tsomoriri? The date is from 29thApril to 9th May. Your plan is too hectic without any buffer days or rest days. You do not even have a mandatory acclimatization day in Leh. I will not suggest going through this plan. Better add couple of more days to ease out journey. Jun 11 : Pangong to Tso-Moriri. Night halt at Tso-Moriri (Here my question is whether visiting Tso-Moriri is worth visiting after staying a night at Pangong-Tso. Wont the 2 vistas be similar. Also would we be acclimatised enough for spending the night at Tso-Moriri and Pangong). You started with a easy pace but then you picked up too much for families. The road is pretty much doable now from Nubra to Pangong Tso via Agham. However, the problem will be desolation and with families, it scare even more. If you can find some vehicles to accompany you can attempt that route to reach Pangong Tso. Once Pangong Tso, come back to Leh on June 11. Now on June 12, start for Tso Moriri after filling up the tanks. June 13, make Tso Moriri to Jispa by starting early in the day else in worst circumstances you can stay at Sarchu. Spending a day in Jispa shall be fine. Thanks a lot for the reply. I think we would drop Tso-Moriri as one of the families has a senior person with high BP (though he is well-controlled with medicines). He was concerned about spending a night at such high altitude. Would spending a night at Pangong with the easy schedule of acclimatisation that we have selected cause any problems. If so, can we return to Leh on the same day. I was very keen to spend a night at Pangong. Mayoor, there is little difference between Pangong Tso and Tso Moriri. So, if you are able to spend night at Pangong Tso, you should be good with Tso Moriri too but if you want to avoid that is fine. In case you feel something at Pangong Tso, you guys can get down to stay at Tangtse which is 34 KMs from Pangong Tso towards Leh. That shall help as well. It is a very tiring and bumpy journey as well. Yes, you can take the route from Pangong tso to Chusul and back to Tangtse for night stay but you cannot reach Leh the same day. And yes the inner line permits will be required for it. Yes Mayoor, better that you spend an extra day and visit Turtuk Village, it is a nice village offering good views and culture. And it makes sense to return to Pangong Tso and then spend an extra day in Jispa, a quaint & offbeat village. May be try to go towards Shingo La pass from Darcha. You need to go back to Darcha and then travel towards Shingo La which is just now open last year by BRO and when connected fully, it will connect Padum in Zanskar Valley to Darcha on Manali – Leh Highway. Darcha to Shingo La pass is about 40 KMs. Jispa to Darcha is around 7-8 KMs. But keep in mind that road will be bumpy. Yes, that will be the best option. Talk to the guys at the checkpost at Darcha when you make an entry in the police register there. They should be able to give you some knowhow else check with hotel guys at Ibex or Padma Guest house. Jun 18: Manali to Chandigarh. Catch plane in evening for Mumbai. A situation has developed wherein our return flight from Chandigarh which was due at 6.00 PM in evening has been preponed to 12.25 PM. All evening flights have been rescheduled on that day due to Airport maintenance work. Now it is not possible to leave from Manali and reach Chandigarh before 12.25 PM. We have 2 options now. 2. Instead of Jispa to Manali on Jun17, leave early from Jispa & reach Mandi for night halt. Next day morning leave early from Mandi at about 5 Am to reach Chandigarh by about 10. 00 to 10.30 AM to catch afternoon flight. Is option 2 feasible as this would entail no extra charge for change in flight tickets or would it be very hectic & touch-and-go. Since we are not very sure about Manali-Chandigarh road conditions, should we take a chance by going for option 2 or just skip extra day at Jispa. Pl advice and Thanks in advance. Mayoor, plan 1 is ofcourse a better less stressful bet but in case you opt for plan 2, it is much better to go over and sleep at Sissu or Khoksar as close to Rohtang Pass as possible. Next morning leave from there and try to reach Chandigarh the same day or at least reach Bilaspur/Swarghat that day to ease out into the flight. Many things can go wrong in the mountains, so always plan for contingencies. Hope ur doing good! Firstly thank you so much for all your suggestions and guidance your giving to fellow travellers . planning to visit leh-ladakh this september 14th 2016 with my husband..we are also planning to travel from leh-Hunder by bike..So please tell me first ..is it safe for a couple to travel by bike from leh-Hunder(so long ..i believe distance is approximately 140KM)..so suggest us on this plzzz.i’m extremely nervous to travel ,as its just two of us …. Yes, it is fine and alot of people do it every year. If you guys are OK and comfortable riding bikes for about 6-7 Hrs then you can make the trip. Also, make your you have good experience of riding bike and then only take a chance to ride up there. Did the shyok route on 13th Aug 2016 on RE 500 bullet There wasn’t much water on road (if you choose to call it that) but there were 2 nasty stream crossings. Not to mention lose rocks, round stones, sand, mud on the road. Sand was the most treacherous part for me. But the route is doable if you have a convoy of around 5-6 bikes at least. Otherwise it’s just insane. BRO has started asphalting the road again but it’s a matter of time that it gets washed away again. We reach Leh from Manali by bus and we take a flight to Srinagar on Day 7. We did not have Kargil in mind,but learnt about the direct route from nubra to pangong from a local taxi driver who also helped sketch out this itinerary and agreed to this plan for a decent price. Would be happy to get some suggestions from you and also about the feasibility of plan. hi ..we are even planning to go in septemebr .please let us know the dates..so even we can join .Thanks . Check the DoW Travel Calendar and post your entry as well. Also connect with others planning the route. Hi, I am also planning to go in mid sept.
What are your days for travelling? If our dates collide we can go together from Nubra to Pangong. Hi prasanth….we as couple are even planning to visit in mid-septemebr[14th to 22nd] .please let us know the dates.. we can join you guys if our dates are matching ..please let me know .Thanks . Yes, the roads to Turtuk and Pangong Tso are open and you can travel it. We are planning to travel from nubra valley to pangong, so which would be suitable route to travel on bike. Mayur, if you have couple of bikes or supporting vehicle/accompany cars/taxis with you then better try to take Agham – Shyok route but confirm from the locals about it current condition. If open, use that else try Wari La pass. Please note that, it is desolated and so as Agham – Shayok route. Best is to go from Nubra to Leh and then Leh to Pangong Tso. Rest pros and cons of other direct routes are mentioned in the article. I have planned my trip in mid sept. and planning to go from Nubra to pangong directly. We can accompany you guys on that route. We will also get the company on that difficult route. Hi Reshma ..we are even planning to this month (sep 14th to 22 nd september) .please let us know the dates..we can join you guys if the dates are matching .Thanks . Please review and advise which one is better considering this is our first trip.